Being well-known of its unique geology, aesthetics, and archaeology values, Halong Bay is home of many spectacular caves. Through years, the beauty of these caves is one of the main reasons attracting tourists from all over the world to visit and study about them. 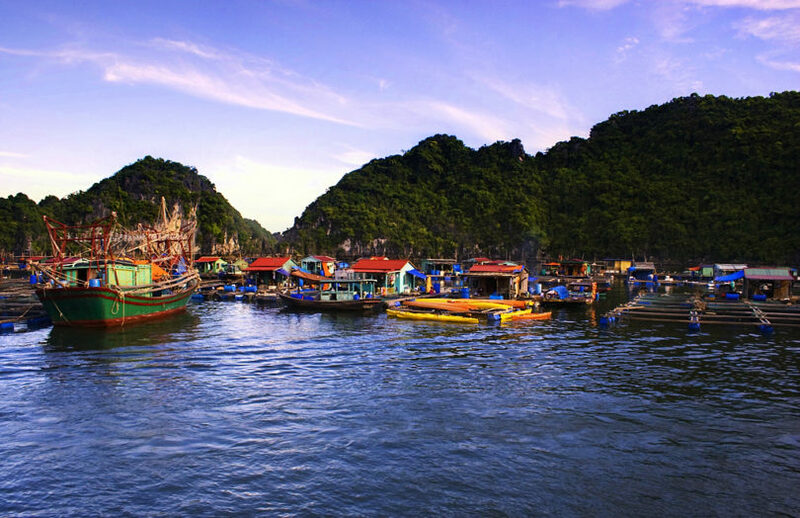 As the most popular cave in Halong Bay, Surprise Cave can be very crowded. If you do not mind the crowd, you’ll fall in love with this cave. It takes a little trek to reach the cave’s entrance but once you are in, you will be amazed by the natural structure of this cave and various stalactites and stalagmites. Surprise Cave consists of two major chambers. The first one, comparable to a theatre hall, features numerous stalactites hanging from the ceiling. From a narrow passageway, it leads to the massive second chamber, where a flow of natural light brightens the surfaces of a space roomy enough to hold thousands of people. 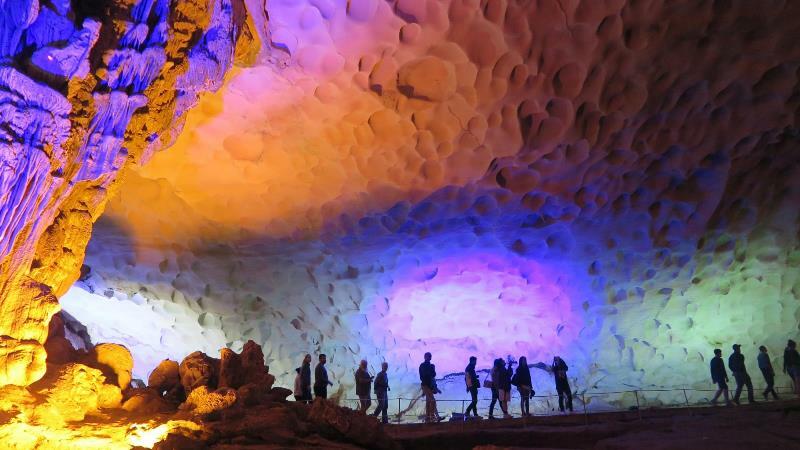 Sung Sot Cave’s 10,000 square meters of space hold thousands of stalactites and stalagmites and are threaded by a 500-meter paved passageway. This cave officially welcomed visitors in 2010, way later than other caves so it is not one of the most popular destinations in Ha Long Bay. It is, however, gaining attention thanks to its archaeological value and stunning interior scenery. 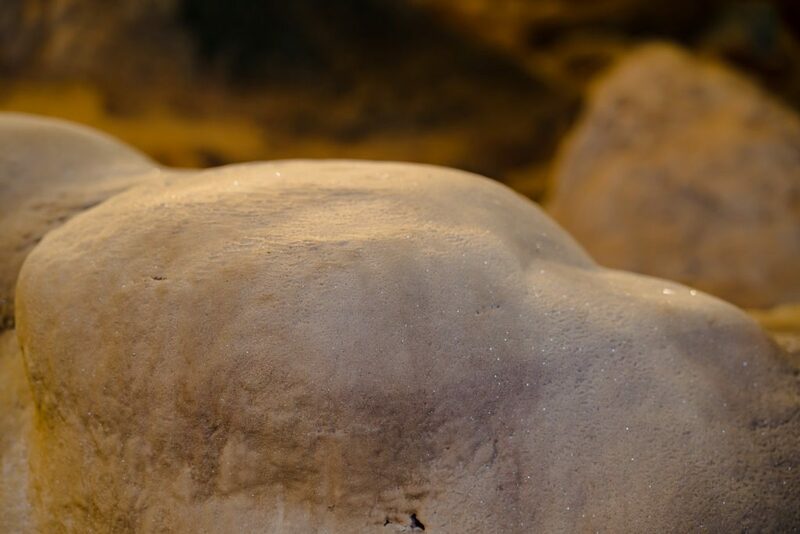 Inside the cave, you can see stone artifacts that dated to 10,000-2,000 BC and learn interesting historical information from the tour guide. 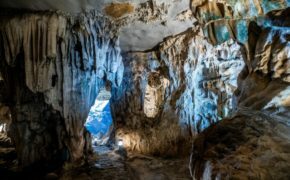 Archaeologists have discovered fossilized animal bones, pottery shards, shells and ancient tools in Tien Ong, indicating that the cave was inhabited around 8,000-10,000 years ago. 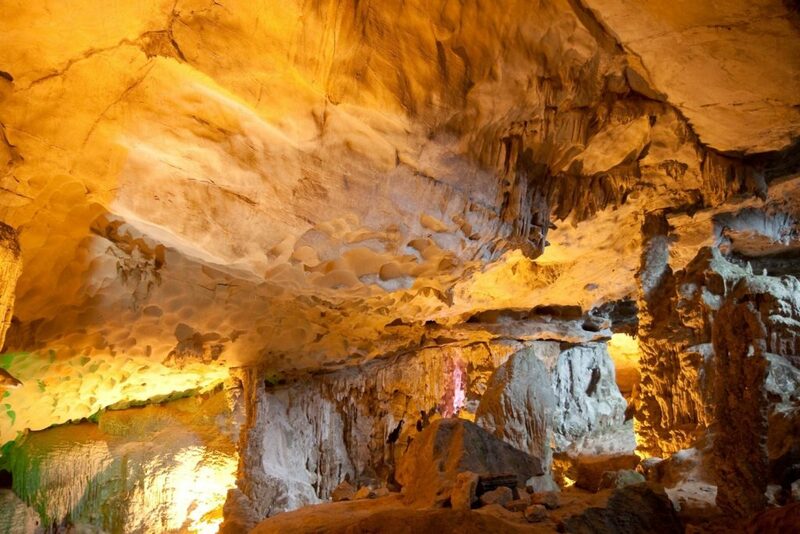 Tien Ong Cave is about 20km away from the center of Halong; it is situated in a very large area. The mouth of the cave, 50m wide and 10m high, leads to a massive underground dome of some 1,000 square meters. Compared to Sung Sot Cave, it is much less crowded and has its own distinctive charm. It takes some effort to get to Thien Cung Cave as you have to walk through a cliff that is surrounded by forests. However, once you see the cave, you will understand why it is called “heaven”. The place is truly heaven on Earth with its animated, fascinating beauty thanks to numerous color stalactites dropping from the ceiling. There is also a giant picture that depicts characters in heroic tales on the grotto’s wall which makes you feel you visit a unique fine-art museum. 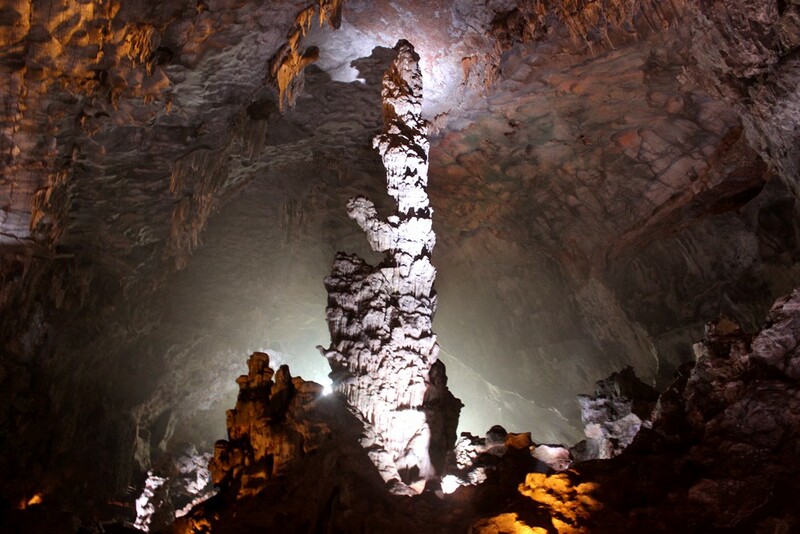 If you are interested in tales about the names of Halong caves, Dau Go cave will definitely get your attention. 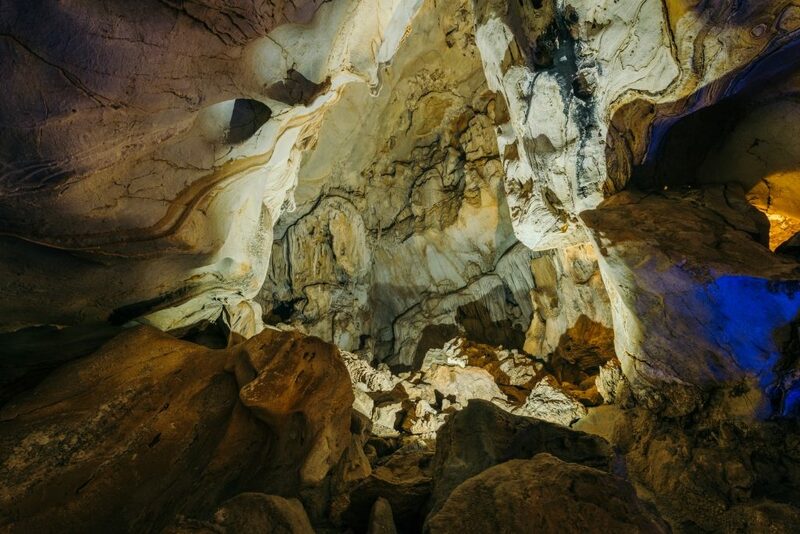 The three chambers of Dau Go Cave, spreading over some 5,000 square meters, are located just 300 meters from Thien Cung Cave, and the two are usually visited together. 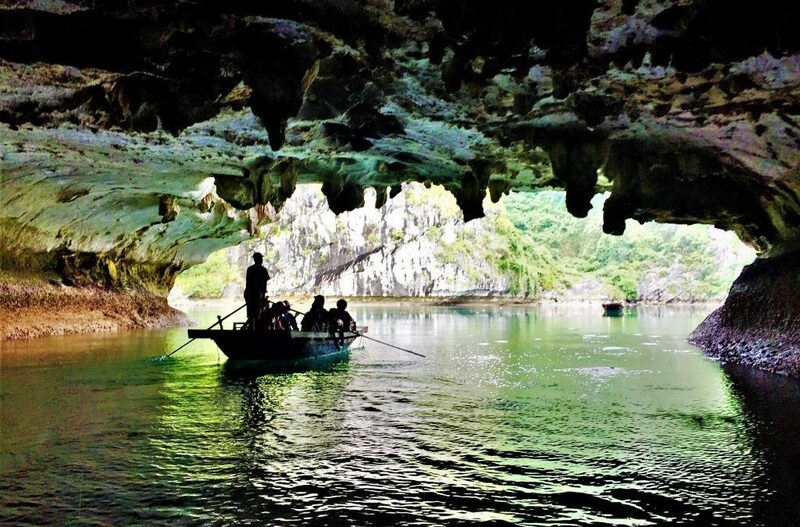 The cave, which is located in Dau Go Island, has got its name from a famous battle in Vietnam’s history back in 1288. Under the command of Tran Hung Dao, a brilliant and legendary military strategist of Vietnam, ironwood stakes/spikes were planted into the Bach Dang river, hidden out of sight during high tide. As a result, the Mongol fleet was trapped in this dangerous bed of self-made weapon and was defeated. There are three chambers in the cave with unspoiled natural landscape. It is given the deserving French name “Grotte des marveilles”, which mean Cave of Wonders. 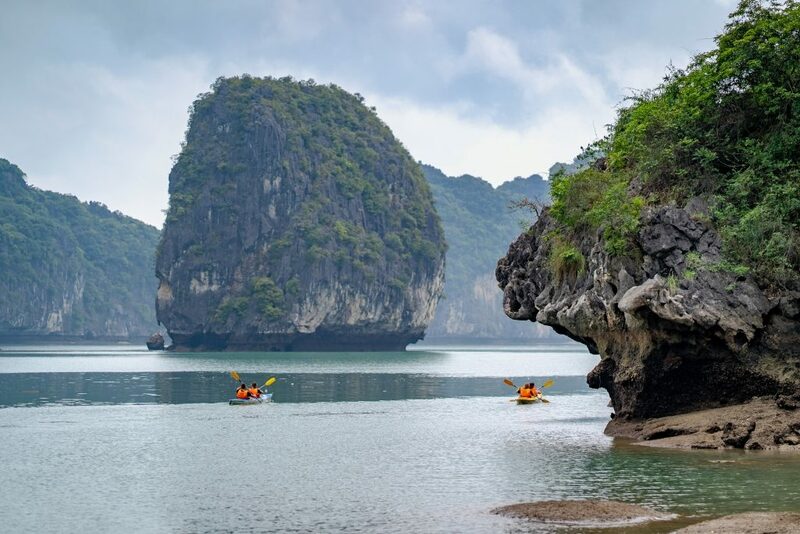 For those who’d love to try kayaking in Halong Bay, Luon Cave is the one to go. 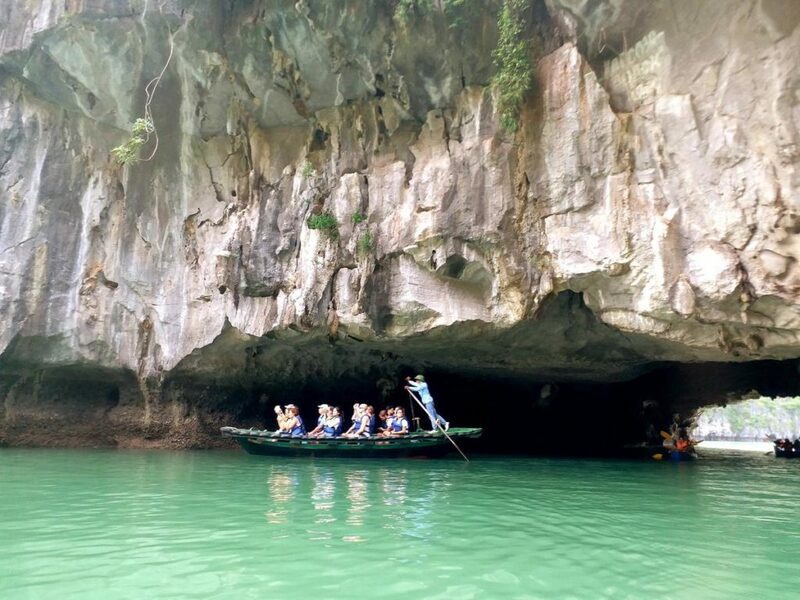 Unlike many other caves which are accessible by boats or cruise ships, you need to visit this place on a bamboo boat or small kayak as the cave has a limited height. Be prepared to sloop low when the tide rides high. This arc-shaped cave has a very distinctive charm as it is a truly natural place with impressive stone pillars and a wide variety of plants. Once you pass the cave’s entrance, you will be greeted by the place’s tranquility which is perfect for a relaxing experience. A perfect destination for the adventurous visitor who would love to row or kayak on calm water surface while enjoying the cave’s impressive stonewalls (take note that the Dark Cave is long and dark while Bright Cave is short and very well-lit, hence the name). 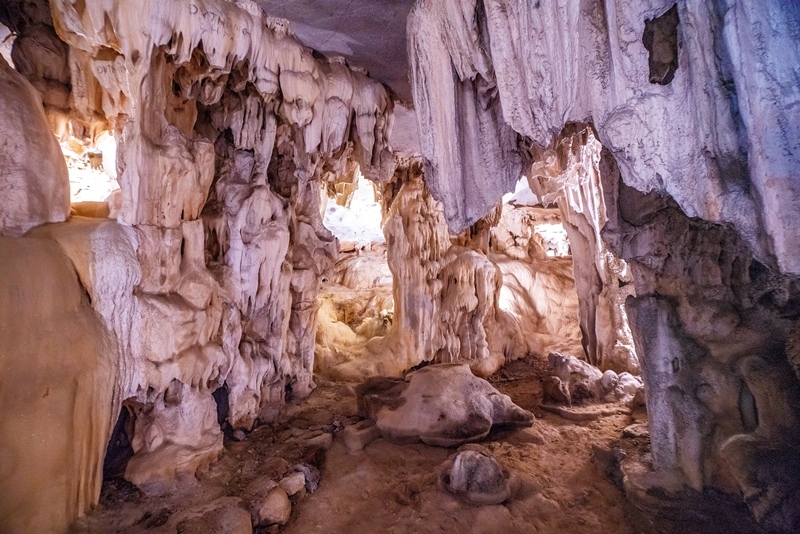 Me Cung Cave, located in Lom Bo Island some 2 km southwest of Titov Island, has numerous chambers linked by small passageways often just large enough for one person to pass through at a time. 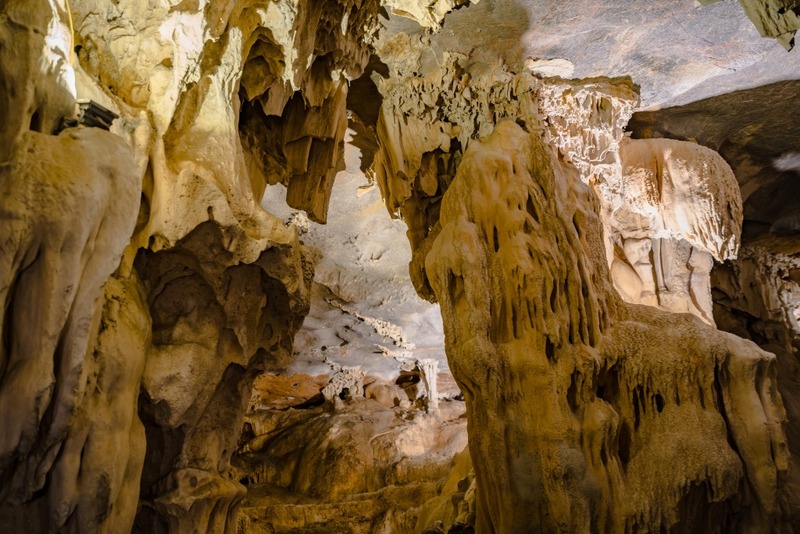 A small but well ventilated and beautiful cave that is even more well-known among archaeologists for its historical value (with the fossilized skeleton from the prehistoric culture of Halong around 7,000-10,000 years ago). 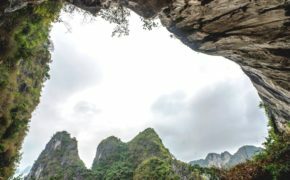 Deep within the heart of Halong Bay, within the picturesque Bo Hon Archipelago, lies Trinh Nu Cave, known to many as the “Virgin Cave”. Only about 3 km to the southeast of Sung Sot Cave, a visit to the Trinh Nu Cave blends the spellbinding natural beauty of Halong Bay with the quaint folklore imprint of Vietnamese heritage. 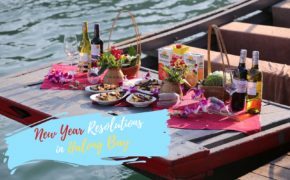 Currently, Bhaya Cruises is the only cruise operator allowed to organize activities for passengers on the beach during selected periods of the day, under special authorization of the Halong City government. 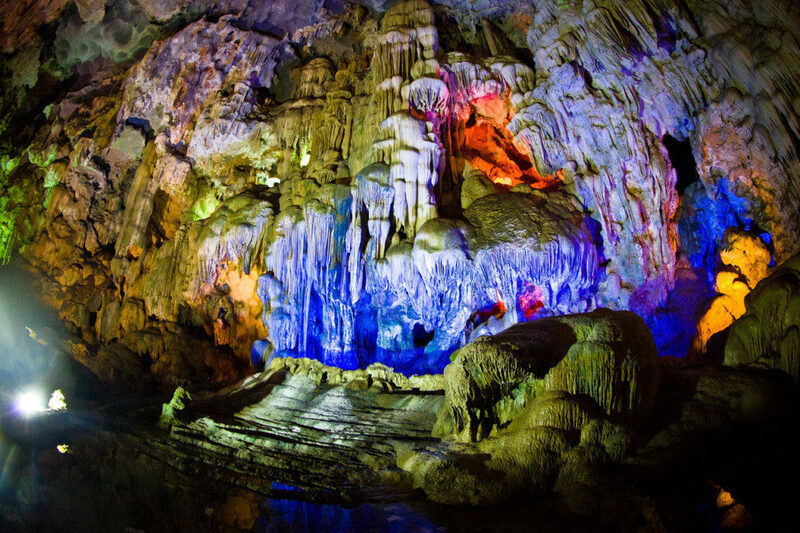 Considered as where the “Love story of Halong Bay” began, Trinh Nu Cave, one of the finest sunlight-filled caves in Halong Bay, covering an area of 2,000m2 with a stunning assortment of stalactites and stalagmites, has its origin attached with an emotional love story that glorifies faith. To explore this love story of the place, passengers can take part in unique itineraries created by Bhaya. The 2-day 1-night cruise on Bhaya Classic gives guests a glimpse of this mesmerizing venue. 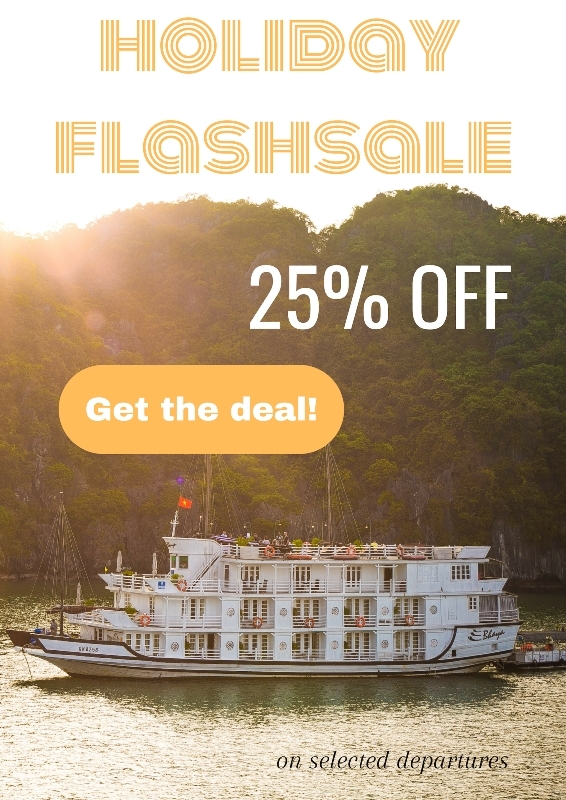 Meanwhile, the 3-day 2-night cruise on The Au Co returns the most authentic Vietnamese culture cruise experience to passionate passengers. In Trinh Nu Beach, guests can take a swim in the jade-colored water or sunbathe on a private beach nestled behind the cave. This is when you can munch in the stunning views while indulging in the pristine water, especially enjoying the most idyllic Trinh Nu scene. 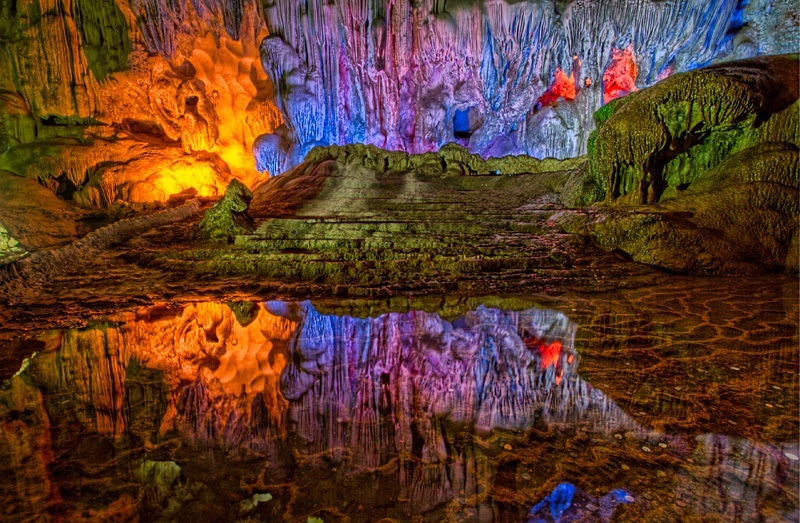 Take your time to consider these gorgeous caves which used to be the Vietnamese ancestors’ residence. Think about the history values and let’s admire the beauty of Nature creation in person.